AN Shoe Cleaning Service | Helping Your Shoes Look Picture Perfect! 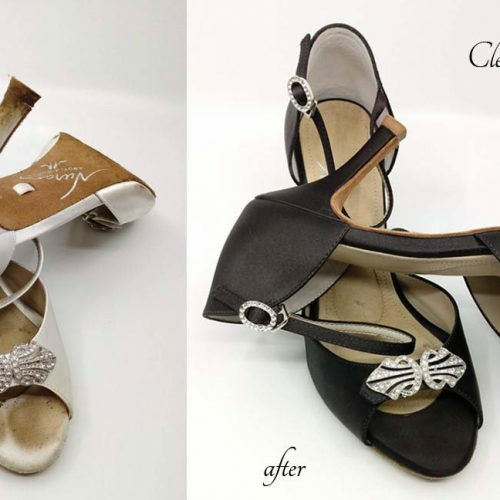 If your Angela Nuran shoes got dirty or stained, you can send them to us for cleaning. We can usually greatly reduce or even remove light surface dirt, scuffs, toe prints and assorted minor stains on our off white and dyed silk. Please have reasonable expectations and understand that heavily soiled shoes rarely can be cleaned to fresh condition. 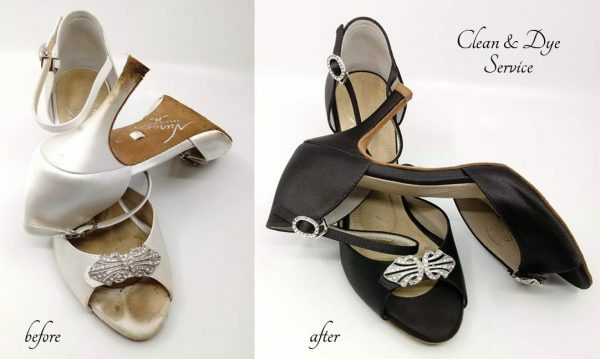 The best way to extend the wearability of badly stained shoes is our Clean & Dye Service. We will contact you to discuss alternatives if we can’t get your shoes clean enough. Torn or scraped silk can’t be restored, but can be concealed with adornments, crystals or glitter treatment. Please fill out our dye form and fax it, mail it or email us after ordering this product to ensure prompt return delivery to the proper address. *Link opens in new window so you don’t lose your place here.